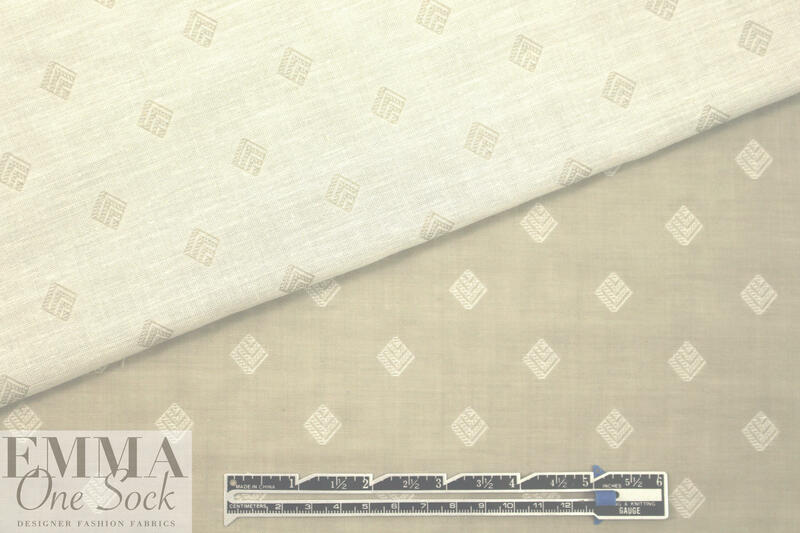 This Italian 2-ply cotton woven consists of two layers of a fine, smooth and semi-sheer woven. The top layer is a khaki color and the bottom layer is stone (PANTONE P-168-9-C). 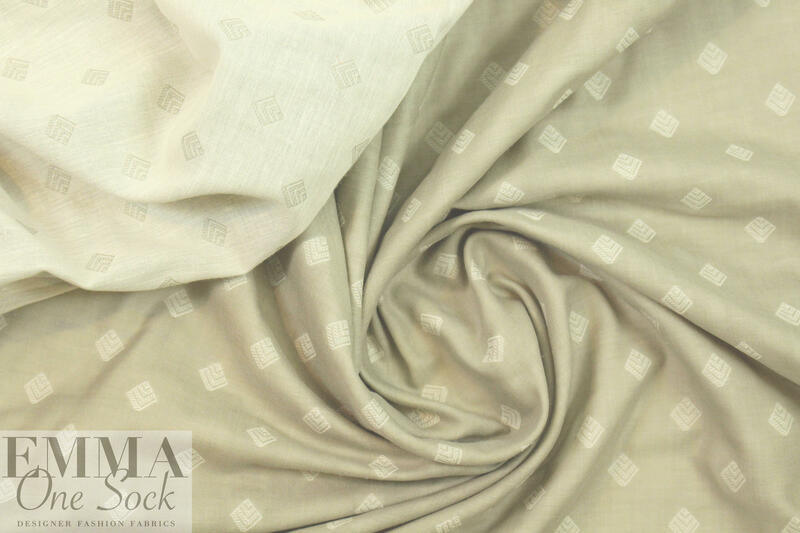 The layers are connected by the diamond jacquard pattern: stone diamonds on the khaki side, khaki diamonds on the stone side (1.875" repeat). 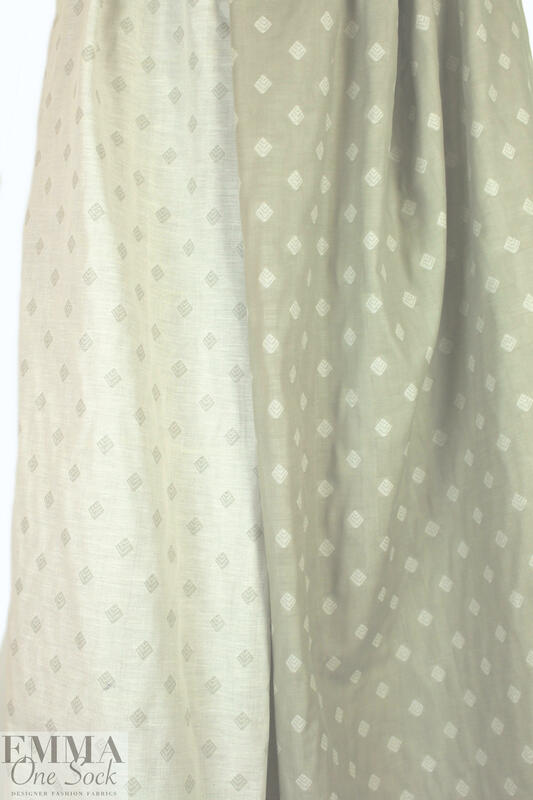 It is light weight with a soft drape that has a bit of body, and it is not sheer because of the two layers. 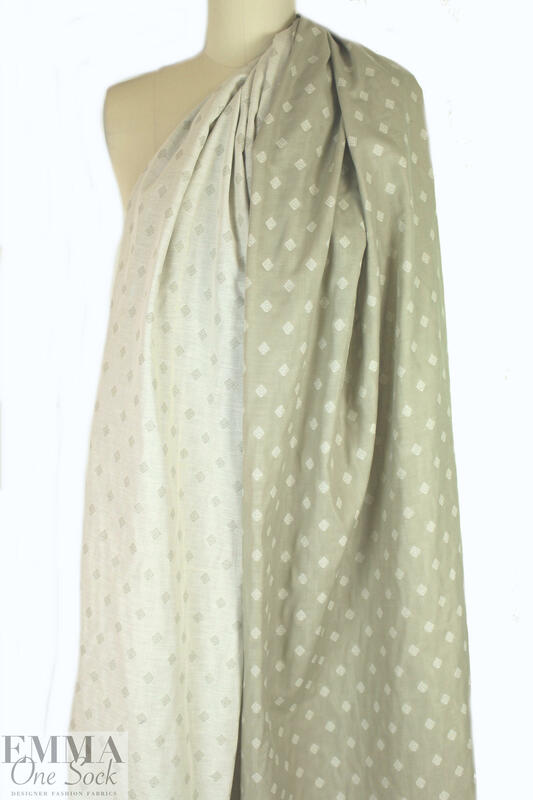 It is perfect for a top, tunic, shirt, dress, skirt, etc. Hand wash, hang to dry (please test first), or dry clean.